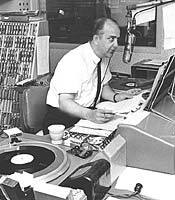 "Bill Calder started his radio career in San Jose as a disk jockey. Thirteen years later, he was hosting his own show on WHN Radio in New York City. Bill worked in most of the major markets in the U.S., although he always considered Miami his home. In addition to radio, he also hosted his own TV talk show at KPRC-TV in Houston." In 1980 Bill hosted the morning show at WNSI in St Petersburg with Tedd Webb, & Martin Giles. He had previously worked with John Eastman in Miami, but longed for his south Florida and left after.5 months. Bill passed away from heart trouble a few years back.